Rent Hacienda Del Sol Guest Ranch Resort | Corporate Events | Wedding Locations, Event Spaces and Party Venues. Begin your journey together in a place you and your guests will remember for a lifetime. Hacienda Del Sol offers an unparalleled setting, just perfect for your special day. Picture your wedding in the inspired locale of lush gardens, spectacular mountain vistas and the elegance of our unique resort. 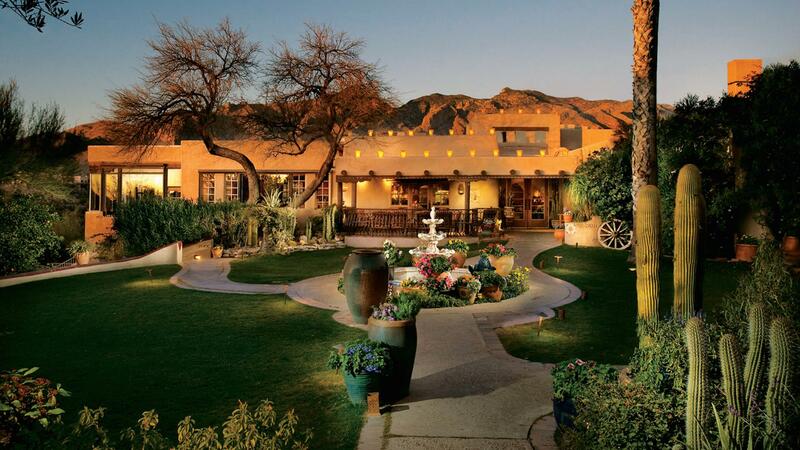 Celebrate your nuptials in the casual luxury of Tucson’s historic jewel. We believe that great work comes from great working relationships, and that creative ideas start with your environment. Whether you choose a breakfast meeting or a company retreat you receive the full advantage of Hacienda Del Sol's stunning location in the Catalina foothills. Your experience will be enhanced by the seamless service, food and attention to detail for which Hacienda Del Sol Guest Ranch Resort is famous. The owners and staff of the Hacienda Del Sol Guest Ranch Resort are happy to announce the completion of our 32 new and luxurious Catalina rooms, each featuring stunning mountain and city views, unique southwestern decorative touches, Mexican tiles, custom wood carved furniture and wall art by local artists. As with our 28 existing historic rooms, each Catalina room is distinct in nature and a refuge to all who come to stay.